Our Wagon Quality Control Manager! One Wagon With A Surprise In It! 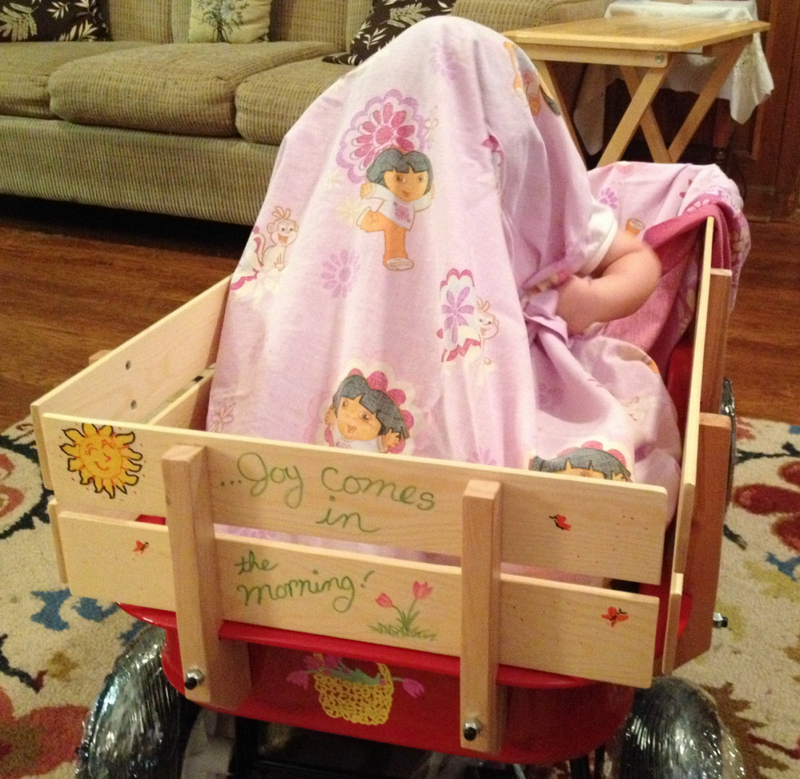 Hmmm, I wonder if she’s in the wagon? Ha ha ha! Boy, she’s working hard as our Quality Control Manager…. 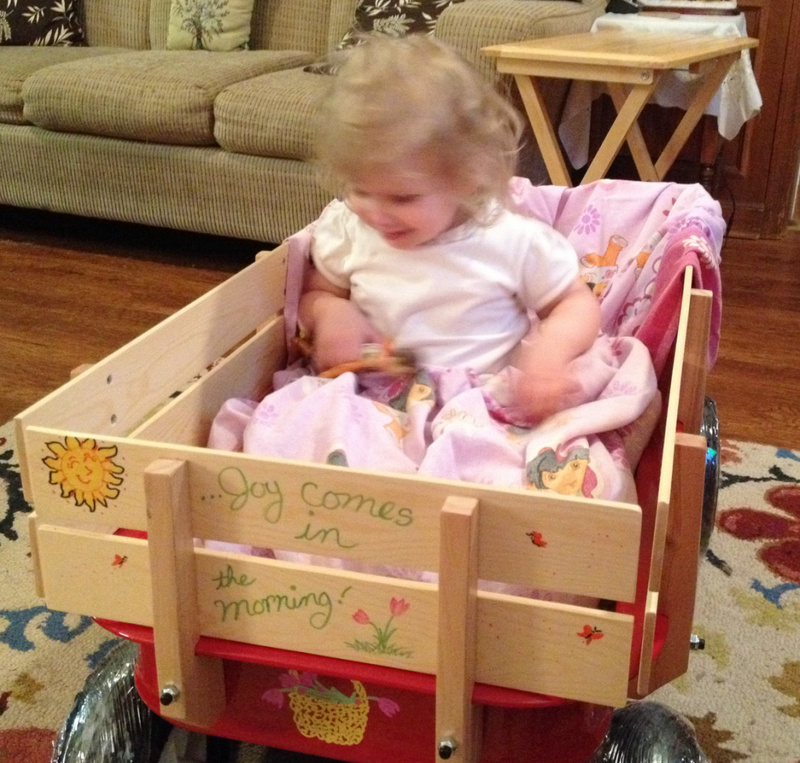 Rhema carefully tests each wagon and rates it for it’s “Fun Factor”…. YEA! 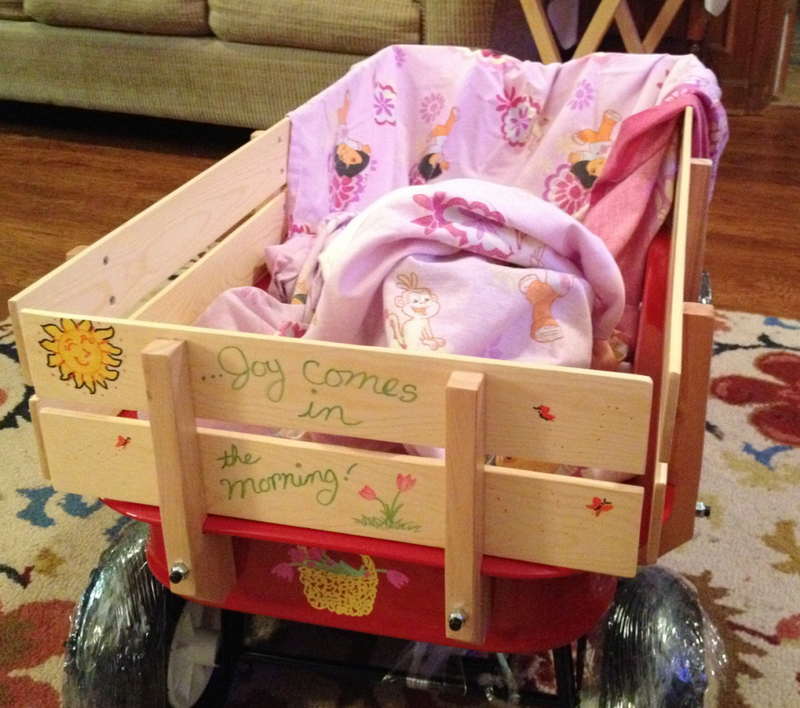 This wagon, like ALL the others, got a Fun Factor rating of 100!!! We are sure blessed to have our little Quality Control Manager! She is a HUGE help!!! 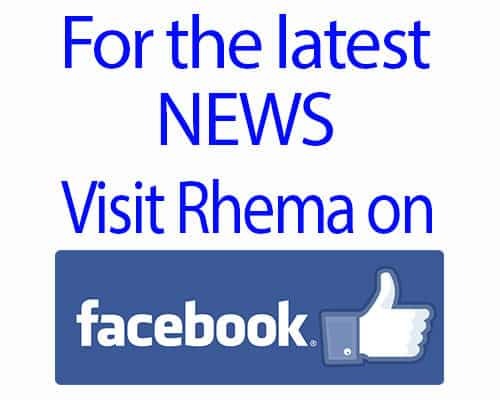 BTW, Rhema is feeling much better: sleeping through the night, eating normally and is no longer sneezing or coughing! She continued on her antibiotic for a few more days and then we pray her congestion will be completely dried up and we will be ready for our trip. Thank you for your continued prayers for her FULL recovery!